It can be concerning when you notice your cat peeing outside of the litter box. I wouldn’t blame you if your first reaction is anger, thinking that your cat is trying to get revenge on your for some reason, but urination outside of the litter box can actually be a fairly big red flag when it comes to your cat’s health. Although not all urination outside of the litterbox means that your cat is sick, it can be the first signs of having a UTI, however, in this article, I will cover all of the reasons your cat may be urinating outside of their litterbox. Stress and Anxiety are actually the most common reasons why cats pee outside of litter boxes. It’s important to try to figure out why your cat is getting stressed and common factors can be loud noises, foul smells, other animals in the home, and trauma. Keep track of when your cat urinates and see if you can remove that factor from their life. 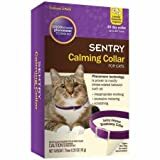 If it seems like there is no trigger for the stress try looking into products such as Feliway, which is a pheromone to help calm cats down, calming collars, or even try music that’s meant to help calm cats down. If your cat continues to show signs of stress speak to your vet about if it’s a good idea to change the food you are feeding your cat. 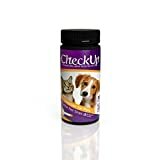 There are certain pet foods which have calming ingredients in them such as Hill’s Prescription Diet C/D Multicare Feline Stress Urinary Care that may help your pet. Urinary tract infections are the second most common reason why your cat may be peeing outside of their litter box. 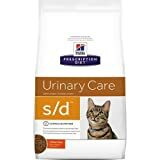 If caught early enough, urinary tract infections are easy to reverse with the help of some medication from the vet, a change of diet, or even the simple addition of extra water in your cat’s diet. Urinary Tract Infections come in a few different forms, but the most common for cats tend to be the formation of struvite crystals. This usually stems from an unfit diet that alters your cat’s pH making it hard to dissolve the beginning of struvites in your cat’s bladder. 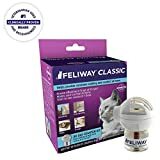 If left on the same diet for too long your cat may become blocked and may have to be put onto a catheter or more extreme, have to go through a surgery. It is not uncommon for crystals to become stones, and once they have become stones (or even sludge) it becomes a very urgent situation. Note: In the case of urinary tract infections, even high quality “natural-holistic” food can cause the formation of struvite crystals. 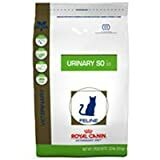 If your cat is susceptible to getting frequent urinary tract infections, I strongly recommend switching your cat onto a prescription diet (Royal Canin S/O or Science Diet C/D) for the rest of their lives. Unfortunately, we found ourselves in the situation where our cat had to undergo the Perineal Urethrostomy & Double Cystomy, due to the fact that the struvite crystals became sludgy and made it very difficult for him to pee them out. A common misconception of Urinary Tract Infections is that crystals and stones are the only worries, this is however untrue. Urinary Tract Infections can often cause a great amount of inflammation in your cat’s bladder and may even cause your cat’s stress levels to rise, causing their urethra to spasm. This makes it very difficult for your cat to urinate and must be treated the exact same way as a blockage. While male cats are the more common gender to experience these spasms, female cats can be affected by this as well. It can be a lot harder to find out if your female cat has a urinary tract infection as they commonly won’t be blocked (due to the size of their urethra), however, will either make very frequent trips to the litterbox or even pee outside of the litter box. If you’re worried your cat has a Urinary Tract Infection make sure to take your cat to the vet immediately for tests or buy yourself an at-home testing kit. URGENT NOTE: If ever you see your cat struggle to pee, throw up because they can’t pee or have your cat hiss at you while trying to urinate take your cat to the vet IMMEDIATELY. This is a sign that your cat is blocked and will be at risk of their bladder rupturing. 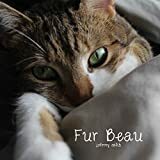 In these cases, vets will give your cat a urethral relaxant and may extract the urine with a needle or catheter, dependant on which is safer for the cat. Sometimes it’s the pet parent’s fault when it comes to cats peeing outside of their litter boxes. If your cat deems the litter box as unfit due to the fact that it is unclean, they will choose to pee elsewhere. I strongly suggest having multiple litter boxes around the house. 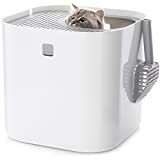 We also recently purchased a top entry litter box, which our cats actually prefer and needs to be changed less often (due to the amount of litter it’s able to hold.) A good rule to follow is “have an extra litter box per cat”, so if you have 2 cats you need 3 litter boxes. Trust me, you’ll be grateful you got an extra litter box. 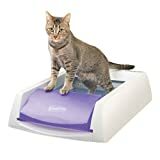 If you’re too busy to regularly clean a litter box, think about investing in an automatic litter box. It may not have been the first thought that comes to mind, but where you place your litterbox can be very important. Similar to humans, cats can experience stress or anxiety when there is too much commotion going on. 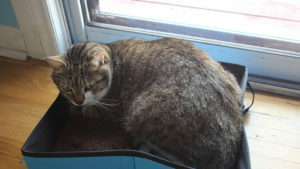 For this reason, it is very important that you do not place your litter box in a high traffic area of the house. Make sure your litter box is away from appliances such as dishwashers or air vents, especially if they are appliances that turn on or off on their own (ie. self-cleaning appliances.) Loud or sudden noises can scare your cat and they may start associating their litter boxes to these noises, causing them to not want to use the litter box anymore. Sometimes places that were once ideal are no longer ideal for your cat, so you may have to rotate litter boxes around every so often. There’s a reason why female cats are called queens… jokes! 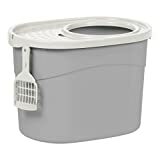 But seriously, sometimes we choose to buy smaller litter boxes because they “save space.” I highly recommend getting a larger litter box, even if you have a kitten because the more space… the more of a chance your cat is actually going to use the litter box. Cats like to walk around in circles before they dig in their litter box, and if there isn’t enough space… well you’re out of luck! We’ve even had situations where our cats pee over the lip of a litterbox by mistake because they weren’t big enough! It is recommended that litter boxes are at least 1 1/2 times the length of your cat. How Do You Get Rid of the Smell of Urine? 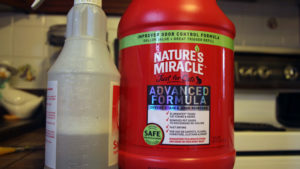 Baking Soda and Vinegar oftentimes does a great job of removing foul odours left from feline urination, however, if this does not work for you I highly suggest picking up a bottle of Nature’s Miracle of Scout’s Honour. 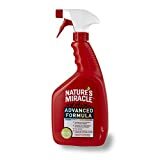 Both are great products which we have used in our household. If you’re ever having difficulty removing the scent of either of these products (as they can be overwhelming dependant on the batch) check out my article here. Cats can have a preference for their litter. Similar to food, cats may like certain textures over others. We’re lucky enough to have cats who don’t seem too picky. We’ve tried a few litters so far, including, but not limited to: Yesterday’s News Unscented, Naturally Fresh Multi-Cat, Naturally Fresh Single-Cat, World’s Best Cat Litter (Single Cat), Naturally Fresh Herbal Attraction and Naturally Fresh Multi-Cat Alpine Meadow. You may want to check out our list of litters if you think that litter is the culprit. If your cat is declawed, they are going to find rougher litters such as clay harsh on their paws. You may want to look into paper litter or a softer litter, so they won’t be in pain. 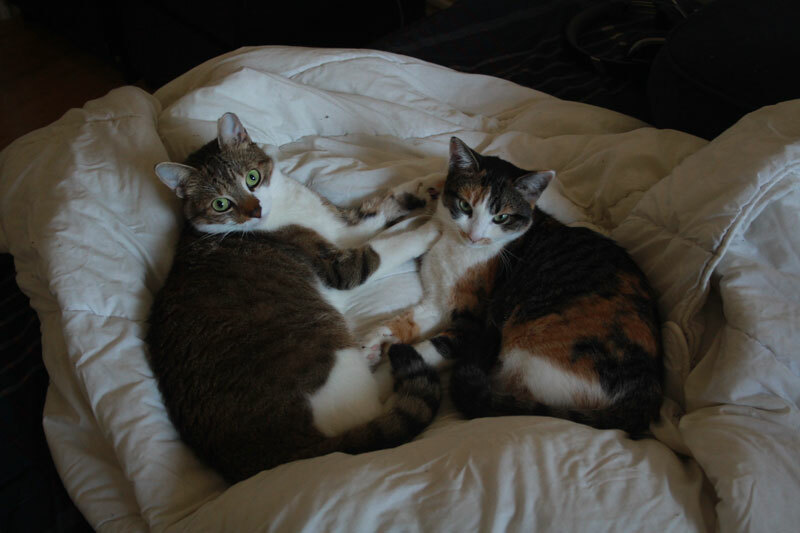 This most commonly happens to female cats who have been spayed too early or geriatric cats. If this is the issue a vet may prescribe your kitten a hormone to help strengthen their bladder. If the hormone is not effective the vet may suggest a surgical correction and from my knowledge, the surgery is fairly risky and may not solve the problem (although, I would recommend talking to a vet as this may have changed as the years have passed). Vets may also put collagen into the urethra to help block urine from getting out. This is a fairly effective and safe practice that would have to be repeated every 18 months. I had a cat that was definitely attached to me. When I took her to get spayed, she peed and pooped all over herself and cried. She stopped crying when she saw me. The vet said he’d never seen a cat that attached to their person. She did the same thing when I left her with my sister when I went on vacation for a week. This is the same cat that liked to come up behind me in bed and put her cold nose 8n the middle of my neck in the middle of the night for me to lift my covers up so she could crawl under them and curl up next to me under the covers. Our other cat would curl up on the other side of me on top of the covers. She lived to the ripe old age of 19 years old. I’ve read that cats store their anxiety in their bladders. Like humans who internalize stress, so do cats. 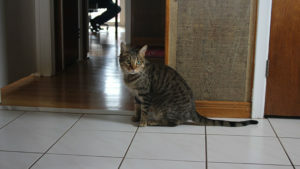 A couple of friends have had female cats who sprayed, due to the stress of too many cats in their territory. Everything they tried to convince the female that she is safe didn’t work. 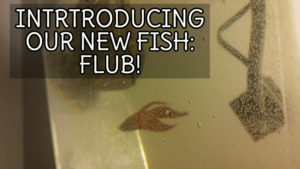 What finally worked for one, was moving to a new home, which reset all territorial issues. The second female cat is still spraying, and the humans cannot rearrange their home layout to give her private space…which is what she needs. That’s very intense! I’m really glad we haven’t bumped into any territorial problems so far, they can be fairly hard to resolve.